Arise is pleased to announce that we have received approval from the Central Bank of Mozambique to acquire a stake in Moza Banco, a locally owned bank. Arise is set to acquire a 29,5% stake through a subscription of new shares. According to Deepak Malik, Arise CEO, this transaction will allow Arise to expand its investment footprint in Mozambique and to deliver on its business mandate of promoting financial inclusion and stimulating economic development. “At present Arise has an investment in BTM, another local bank, and it is our intention to merge BTM with Moza Banco to create a larger combined entity with the potential to become one of the leading top tier banks. This new entity will be favourably positioned to serve Mozambicans and increase access to finance”, said Malik. It will also afford Arise an opportunity to be part of a significant sustainable top tier bank in Mozambique. “The combined entity will represent a majority locally owned universal bank, with the infrastructure to serve the local population, including Small Medium Enterprises (SME’s), which speaks directly to Arise’s financial inclusion goals”, said Malik. In addition, through this collaboration, the bank will enjoy strong local and international support from its shareholders, whose international best practice knowledge, skills and expertise can be tapped into to offer their clients a world class banking experience. “Mozambique is a key market for Arise and we are excited to partner with Moza Banco and BTM on this collaboration, which is set to stimulate economic growth, job creation and socioeconomic empowerment”, he said. The merger will also promote consolidation in the Mozambican banking sector. According to João Figueiredo, Moza Banco Chairman, the entrance of Arise in the shareholder structure of the bank represents an important milestone in terms of advancing Moza Banco’s service offerings. “The bank can now leverage off Arise’s reputation, experience and presence in other financial markets. This partnership will also afford Moza Banco the opportunity to consolidate its business objectives in a structured way in the local market”, he said. For Manuel Aranda da Silva, BTM Chairman, this transaction represents an opportunity to better fulfil the bank’s objectives of contributing to the economic and social development of Mozambique. “It opens the possibility of being closer to the clients and providing a more comprehensive set of banking services”, he added. 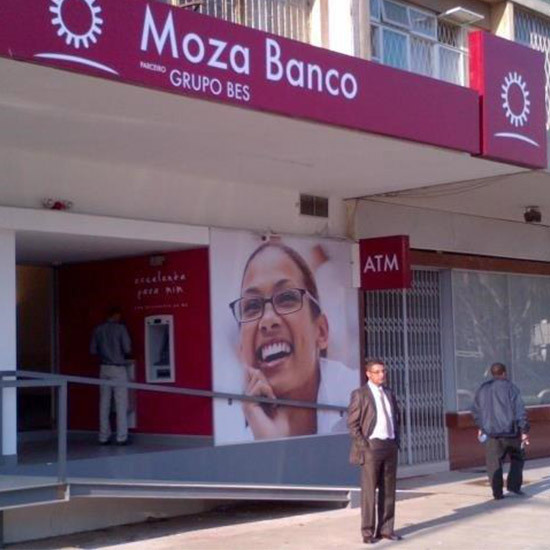 The new larger Moza Banco will offer clients a wide range of modern banking services supported by the experience and international credibility of its new shareholder, Arise. It is the intention of the management of both banks to ensure that the integration is a seamless process for all clients. In the interim clients of both banks will be transacting as usual. Clients and other key stakeholders will be kept abreast of the latest updates and developments during the transition period.